In 2015, Justin Bieber’s “Sorry” reginited pop music’s interest in dancehall. A slew of dancehall-dipped records followed, from Drake’s “Controlla” to Ed Sheeran’s “Shape of You” to Rihanna’s “Work”, that drew on sounds borne in the streets of Kingston. Off-brand, Caribbean-adjacent music was becoming the norm, and it was usually being made by non-Jamaican producers and artists who had been inspired by (or co-opted, appropriated, copied, etc.) the sonic aesthetic of dancehall. All this was proof of what every dancehall fan already knew: the genre, and its culture, are influential. Some of those very same artists have been nominated for awards at the Grammys this weekend. Given the fact that the unruly, rugged, no-nonsense cousin of reggae has contributed to some of their success, shouldn’t the Grammys be honouring dancehall and its artists with their own category? It’s not that the cultural production of black folks needs to be validated by an institution to be seen as legitimate. Black artists have historically been snubbed by the Grammys, but even without the approval of the mostly white, wealthy, older American voting body that determines who belongs in the musical canon, the music has done just fine. Still, it would be a turning point if dancehall artists also had an industry-recognised accolade to strive towards, and the opportunity to perform at a ceremony that’s broadcast nationally and disseminated around the world. You could argue that there aren’t enough dancehall artists releasing full albums to justify getting its own category. That’s true, but while it’s typical for dancehall artists to jump on riddims and release a collection of singles throughout the year rather than a full-length project, something that’s particular to Jamaican music and which other genres don’t typically subscribe to, we’ve seen the Grammys make accomodations for a changing musical landscape in the past: Chance the Rapper received seven nominations with Coloring Book in 2016 after the Recording Academy adjusted their rules to allow streaming-only releases, while this year they changed their definitions of certain genres to open up their Best Alternative Music and Best Regional Roots Music Album categories to more contemporary trends. Even if dancehall artists were creating albums more frequently, where would they be placed? 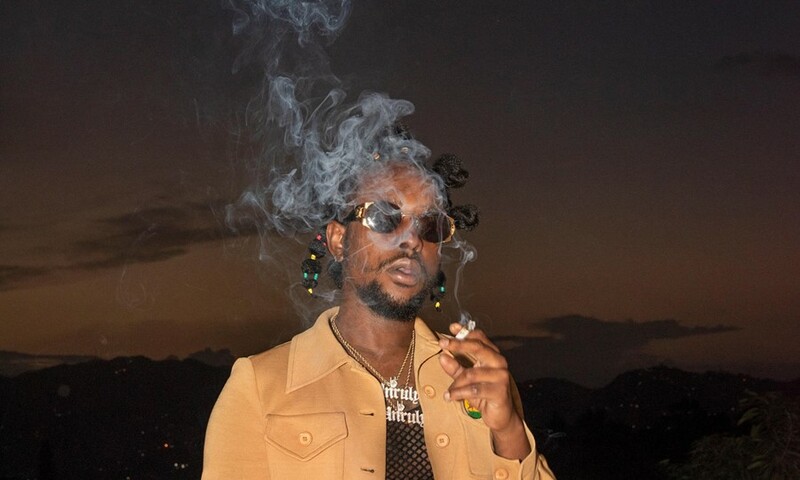 Last summer, Popcaan released his second studio album, Forever, a textured and cohesive work from an artist whose popularity has far surpassed the borders of Jamaica. If Forever was a candidate for an award, no distinct dancehall category exists. They could maybe place it in Best Reggae Album, but that would be inadequate – despite some shared roots, reggae and dancehall are two distinct genres of music. It’s not unheard of for the Grammys to add, remove, or modify categories, as they’ve done in the past when trying to modernise the Gospel/Contemporary Christian Music categories. There’s also clearly room for specialty/niche genres, like its existing Latin category. Dancehall is a good candidate to consider for its own category, where its artists can be considered for both traditional awards (Best Dancehall Performance, Best Dancehall Song, Best Dancehall Album) as well as the ‘big four’ (Record of the Year, Album of the Year, Song of the Year, and Best New Artist). There could even be some mobilisation towards making genre-specific categories, like Best Production or Riddim. YouTube used to be the platform of choice for many dancehall artists to distribute and disseminate their records. Today, most dancehall artists have their catalogues distributed either independently or through 21st Street Hapilos. But even when records are digitally available, they often aren’t categorised properly. On Apple Music, for example, dancehall records are frequently filed as ‘reggae’ or ‘modern dancehall’. This may be a fault with distribution service providers – digital distributors like CD Baby and DistroKid have limited genre options available for artists to choose from when uploading, so, naturally, records get mislabelled once they arrive on streaming platforms. Similarly, on the Billboard music charts, dancehall and reggae aren’t seen as two different genres, so dancehall artists are often seen on the reggae charts. For the National Academy of Recording Arts and Sciences to even consider dancehall streams as a means to collect data or measure success on a given record or album, it would require some kind of reform from other sects of the industry as well. As music consumption shifts, so too are the demographics of who’s listening. Streaming giants like Spotify are tapping more into previously unexplored markets (Asia, Latin America, Africa, etc. ), and if the Grammys wants to really commit to making a ceremony that’s responsive to these trends, they need to account for the influence that international music styles are having not just in their locales, but increasingly in the realm of western pop culture too. In the 90s, artists like SuperCat, Patra, Shabba Ranks, and Beenie Man were able to make successful dancehall crossovers, while the early to mid-00s welcomed Vybz Kartel and Sean Paul into the fold. Last year, Popcaan and Spice released albums, with Spice’s Captured reaching number one on the reggae chart and Popcaan’s Forever reaching number two as well as debuting on the Billboard 200 (Popcaan recently signed to Drake’s OVO Sound label, too). Given the genre’s widespread influence, how frequently artists from other genres look towards it, and how its artists have really made strides towards crossing over, there’s no reason why it shouldn’t be included in the award ceremony and its practitioners recognised for their contributions. The Recording Academy claims to be “dedicated to celebrating, honoring, and sustaining music's past, present and future”. To make good on that commitment, dancehall should be part of that legacy.